£50 deposit is required to secure a booking. Payment for the holiday must be made within 4 weeks before the commencement of the holiday. Payment either paypal or bank transfer, club passes for evening entertainment will be required High season July -September Not included with price . 3 nights, 4 nights, 7 night stays available February - December 2018. All other Dates are £44 per week or £30 per short break. Additional Info: Splash around in the fantastic indoor pool or watch the kids burn off energy at the playground or miniature golf. Afternoon & evening entertainment at the club house for children & adults, with the added bonus of the Arcade for the kids. A bar/restaurant onsite serving lovely food throughout the day. A small convienience store and launderette all within a couple of minutes walk from our Caravan. 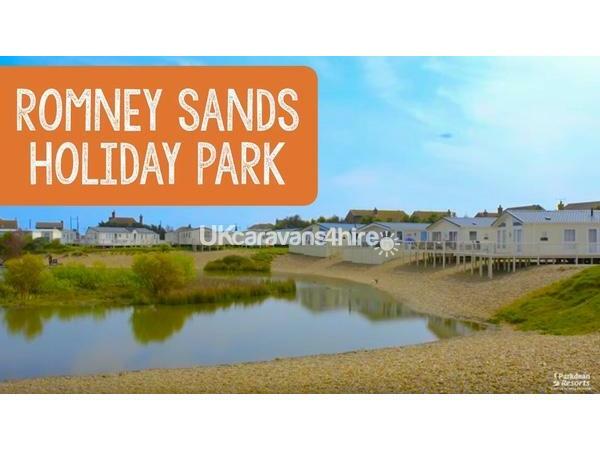 There is a beautiful nature reserve and fishing lake on site with a Sandy beach directly opposite the park. At the entrance to the park is The Tavern which shows most sporting events. 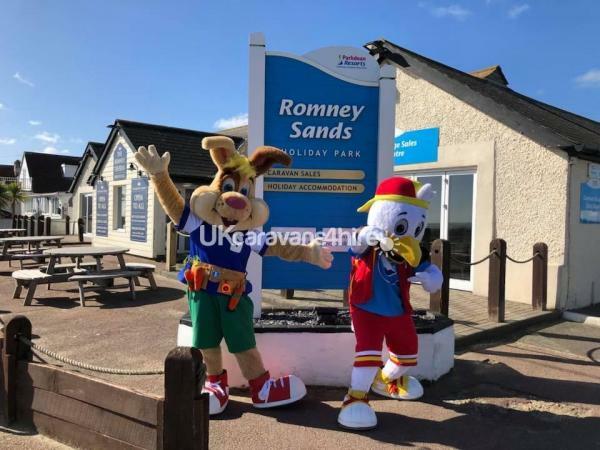 Last but not least is the Romney, Dymchurch & Hythe Miniature Steam Railway line, with a station within the park grounds. 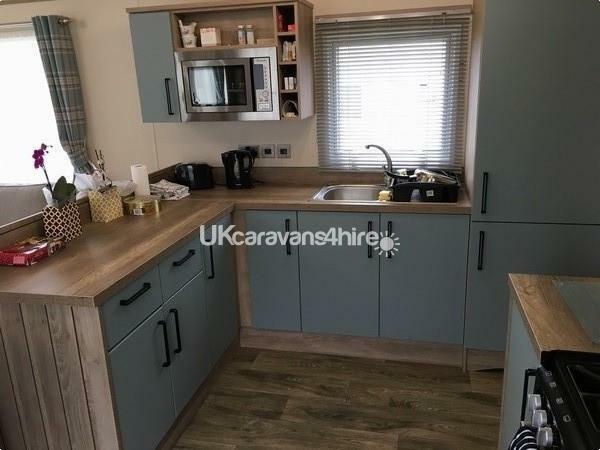 Caravan was very clean and well equipped. Service was excellent, would 100% recommend and would love to come back! We had a lovely stay and without a doubt we will be back again. Homely, modern and clean with great facilities. My 4 year old was so excited for her first caravan holiday and none of us was disappointed. 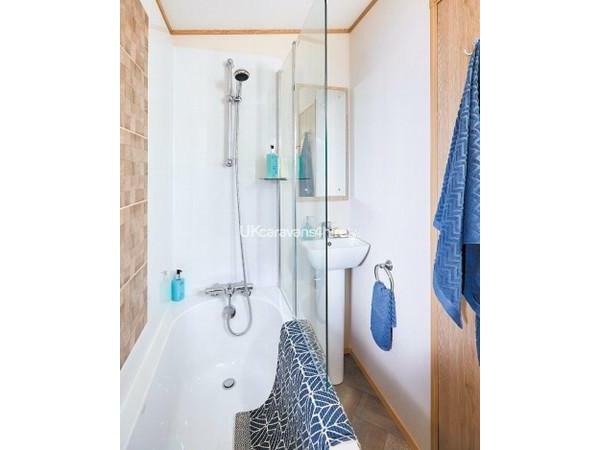 Very roomy... loved the master bedroom with the ensuite and having a bath with an over head shower was fab with my 4 month old. Kitchen was fully equipped and we was able to make some great meals. The grounds are well kept, entertainment was ok but was a little quite but that's to be expected being out of season. The pool was nice and i felt the life guards did a great job keeping an eye out on all the children, inside is very well kept. All in all we had a brilliant time. The owner was very friendly and helpful, clear and concise with instructions, so thank you for a fab stay :) see you again next year. We thoroughly enjoyed our stay here, the hosts are more than accommodating. 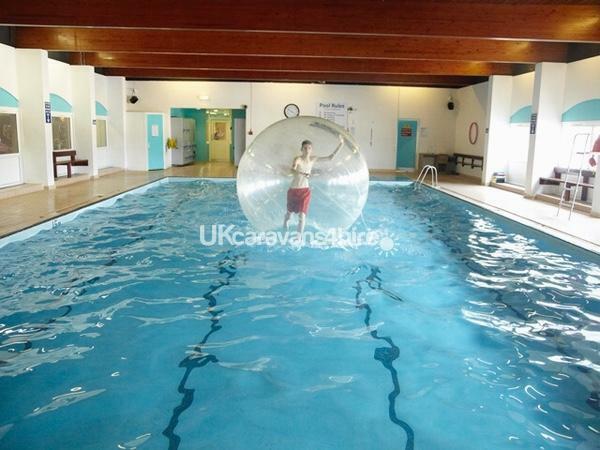 The caravan itself is amazing and the bath alone was most welcomed! Highly recommended and we hope to come back next year! ???? We had an amazing bank holiday weekend celebrating our wedding anniversary with our toddler. From booking online through Rhiannan to secure our dates to handing back the keys at the end of our stay the whole process was stress free and explained (I even got a hand drawn map of where to go when arriving on the site). 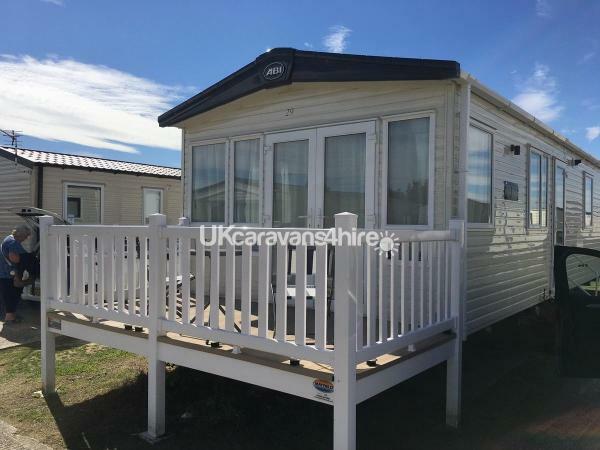 The caravan is safe and has a lovely little balcony perfect for our 2 year old and in the perfect location for a good nights sleep (away from the park etc). We absolutely loved the caravan as it was like a home from home. The bed was comfortable and all the bedding was immaculately clean and ironed, the whole place was spotless. We didn’t have to take anything but towels and food and we literally didn’t need to get anything else while we were there the van is well kitted out and well looked after! The entertainment on site was perfect for what we needed too fitting in around bed times etc! We will 100% be back I would rate it more 20 than 10!!! Really lovely spacious clean accommodation. Had a great stay. Thoroughly enjoyed our stay here. The hosts were amazing and they went out of their way to make sure everything we needed was there. Great location too, just across the road and there’s a sandy beach!